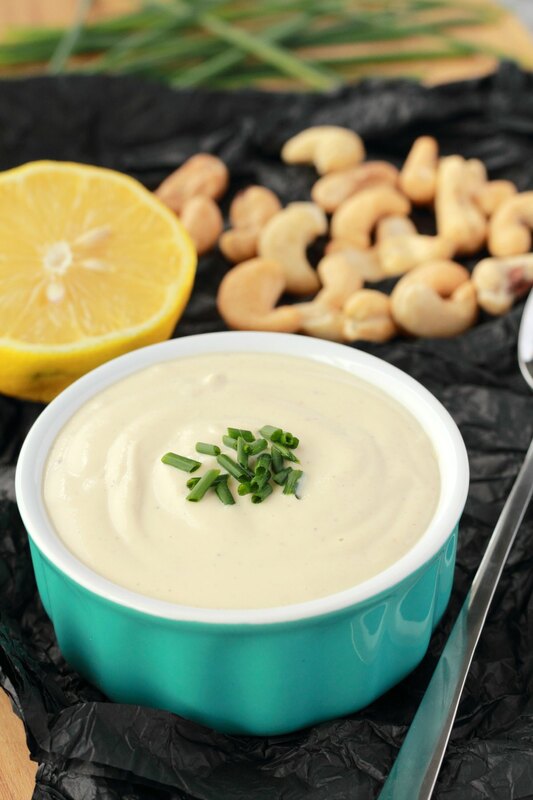 This creamy cashew cream is great with absolutely everything! It’s the perfect substitute for dairy cream and can be used in a variety of dishes. So the other night we were making some vegan chili and I wanted to serve it with some plain cashew cream. Because it cuts some of the spiciness from the chili! And I suddenly realized that I didn’t have any such recipe on the blog. What an oversight. 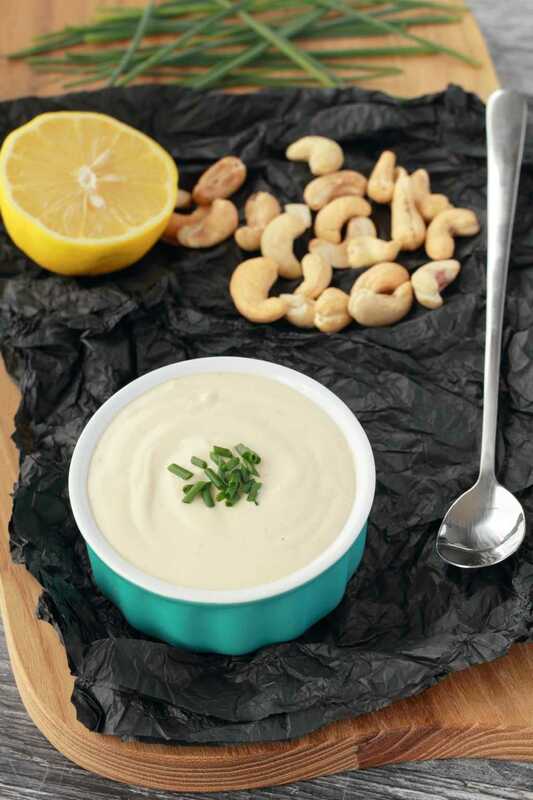 Everybody needs a recipe for a basic cashew cream. I mean there are so many uses, it’s not just to put on top of your chili! 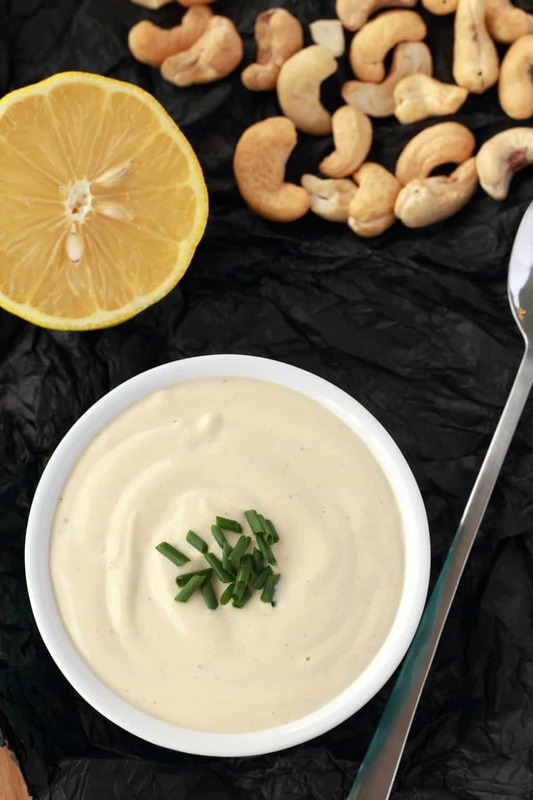 You can fancy it up with some crushed garlic or other spices, and fresh herbs for a savory version or add sweetness for a sweet version but the straight up basic version of cashew cream is a total winner of a recipe that can be used for so many things. So of course it was a must that I get to work putting such a recipe on the blog right away! This simple 4-ingredient recipe is ready in 5-minutes and is just a total breeze to prepare. 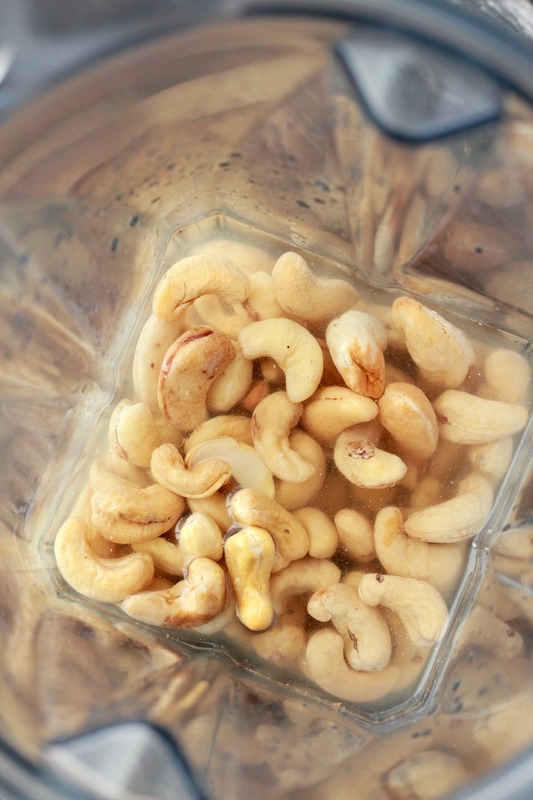 If you have a powerful blender, like a Vitamix, you don’t even have to soak the cashews first. You just add the cashews to the blender with some water, lemon juice and salt and blend! 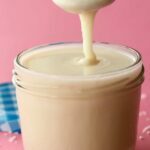 The lemon juice does add a tang and if you are wanting to create a perfect blank slate to replace dairy cream in a recipe, then you can leave out the lemon juice. I love using the lemon juice when I want the cashew cream to be a standalone thing that tastes great as is. 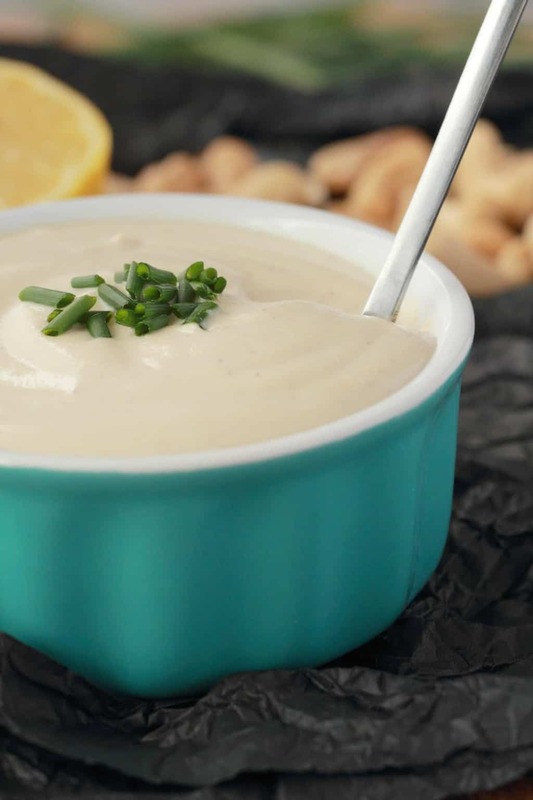 You can use this cashew cream to replace dairy cream. It’s wonderful to put a dollop of this on top of savory dishes like chilis, stews or soups. You can also use it in cooking. 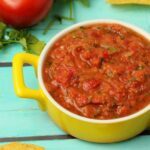 It also makes a wonderful sauce for pasta, though you might want to consider adding in some additions, like black pepper, crushed garlic, hot sauce, nutritional yeast or fresh herbs. This version is the basic version, the ‘classic’ version really, which is great because the flavor doesn’t clash with anything, it goes with everything! So you can add to it as you like, or leave it as is because it’s fantastic just the way it is too. If you want a sweet cream you can add a couple of tablespoons of maple syrup and a little vanilla extract. Do I have to soak the cashews first? If you have a strong blender like a Vitamix then no, you don’t have to soak the cashews first. I don’t usually soak the cashews for this recipe. But if you prefer the texture of soaked cashews or if you have a blender that is a weaker model then you can soak them for 1 hour beforehand. Add the cashews to a bowl and pour over boiling water from the kettle and leave to soak for 1 hour. Then drain them and carry on with the recipe as normal. 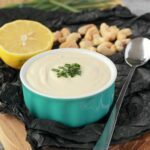 How do I get the cashew cream smooth? Even in a strong blender like a Vitamix (highly recommended) you need to blend it for a bit to get the smooth consistency. So it’s not a case of only blending it as long as it takes for the ingredients to combine, you need to keep blending until it’s really smooth. So be patient, stop and scrape down the sides and then blend again. Then check the texture. When there is no graininess at all, then you know you’re done. How long will cashew cream keep in the fridge? Up to a week in a sealed container in the fridge. 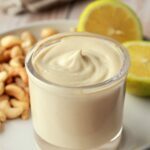 Can you freeze cashew cream? Yes you can! Freeze it and then let it thaw in the fridge overnight and then use as normal. Keep leftovers in a sealed container in the fridge and consume within around 7 days. 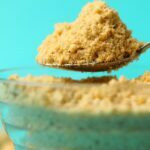 More things you can make with cashews! 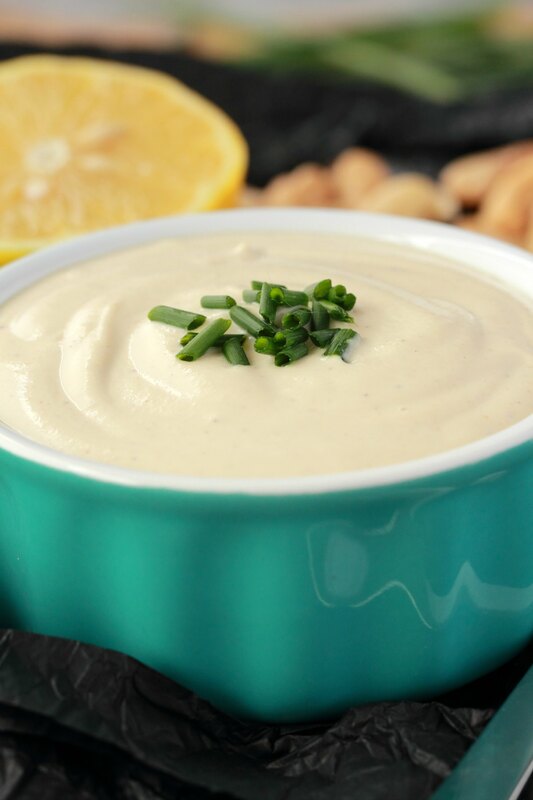 What do you think of this classic vegan cashew cream? Let us know in the comments and please rate the recipe too, it’s so helpful! Thank you! Sign up to our email list for an awesome free recipe ebook and to stay updated with all our latest recipes posted to the blog! 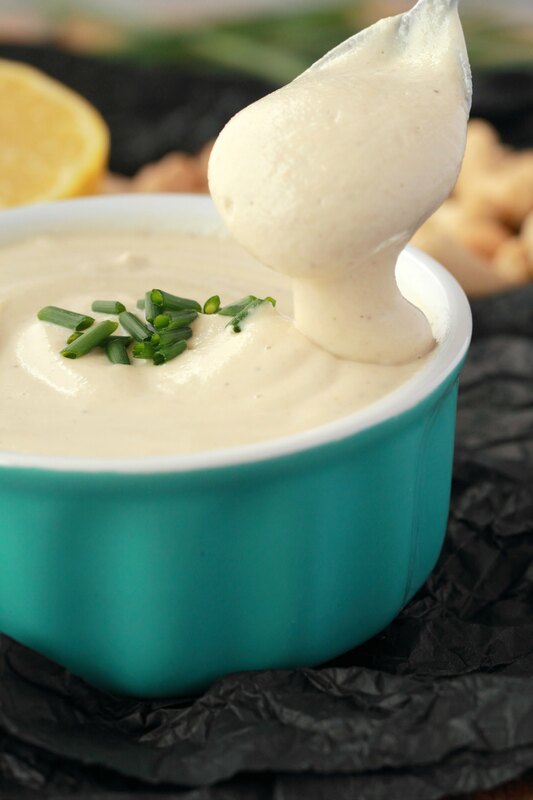 This creamy and delicious cashew cream is great with absolutely everything! It’s the perfect substitute for dairy cream and can be used in a variety of dishes. 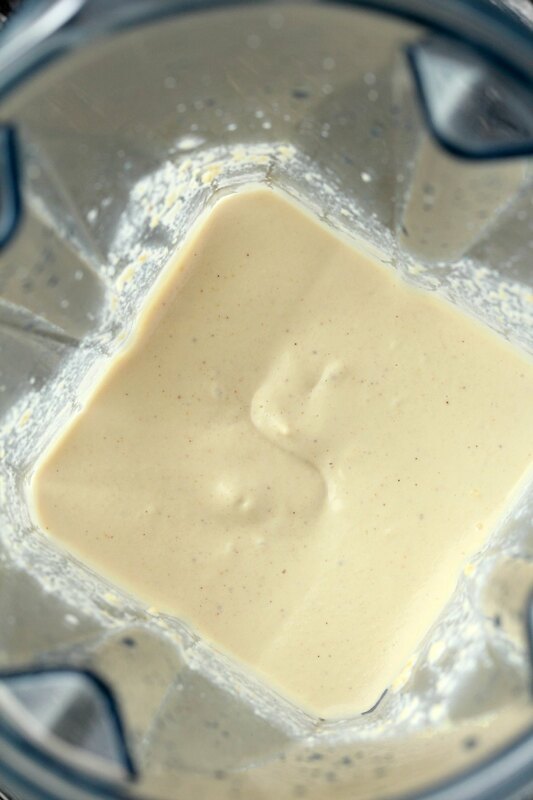 Add the cashews, lemon juice (if using) water and salt (if using) to the blender jug and blend until smooth. The basic cream recipe is really just the cashews and water. If you want a thinner cream then use up to a 1/4 cup more water. The lemon juice and salt add a tang and a little savory flavor, though it’s mild. It makes this stand out more as a standalone recipe ready to use as is. 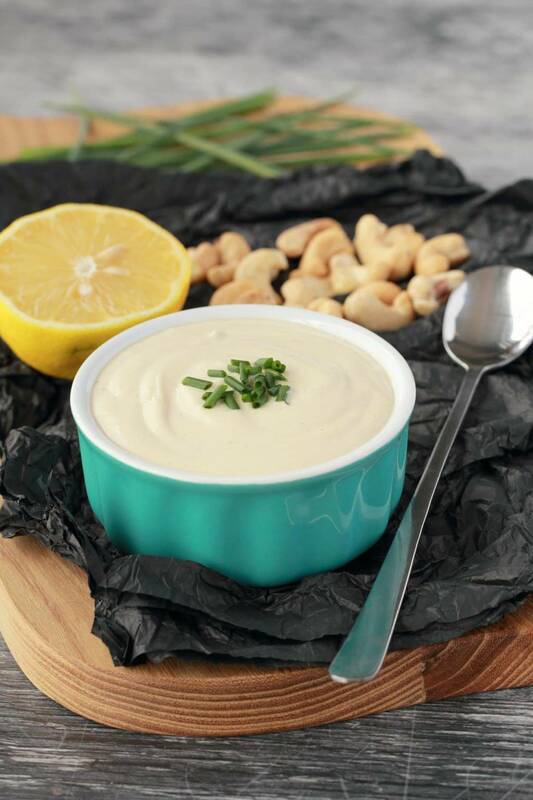 If you are really wanting just the blank slate recipe to use in another recipe or to closely match unflavored dairy cream, then start with just the cashews and water only. *You don’t have to soak the cashews first unless you have a weaker model blender. If you do want/need to soak them then you can place them in a bowl, pour over boiling water from the kettle and leave to soak for one hour. They will then be very easy to blend if your blender is a weaker model. *If you want a thinner cream you can add more water for a thinner consistency. The consistency in this recipe as written, is for a fairly thick cream which is perfect to dollop on top of various dishes or serve as a sauce with pasta. *The lemon juice adds a slight tang to this, which I love. But if you are wanting a more bland cream to be used in a recipe, you can omit the lemon juice for more of a ‘blank slate’ cream that is closer to a plain dairy cream. 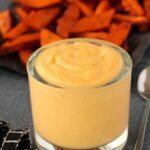 *Optional additions to this recipe could be: crushed garlic, apple cider vinegar (for more of a sour cream), maple syrup for a sweeter cream, nutritional yeast (for cheesy flavor), hot sauce for spiciness, the options are endless! How To Make Coconut Butter – 2 Easy Ingredients! Can you use this cream in a soup that calls for dairy cream? Would you use equal amounts? Would a mini food processor work? It won’t get super smooth, it will be more grainy. But it might work. It might be a good idea to start off with just the dry nuts and process until they are very finely chopped and only then add in the other ingredients, while the machine is running if possible. And then I’ve never actually used a mini food processor so I’m not sure how much that changes things, I have only got experience with a medium sized food processor. All the best! 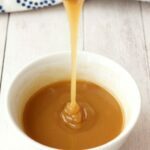 I just discovered this recipe and it is truly SIMPLE and DELICIOUS! 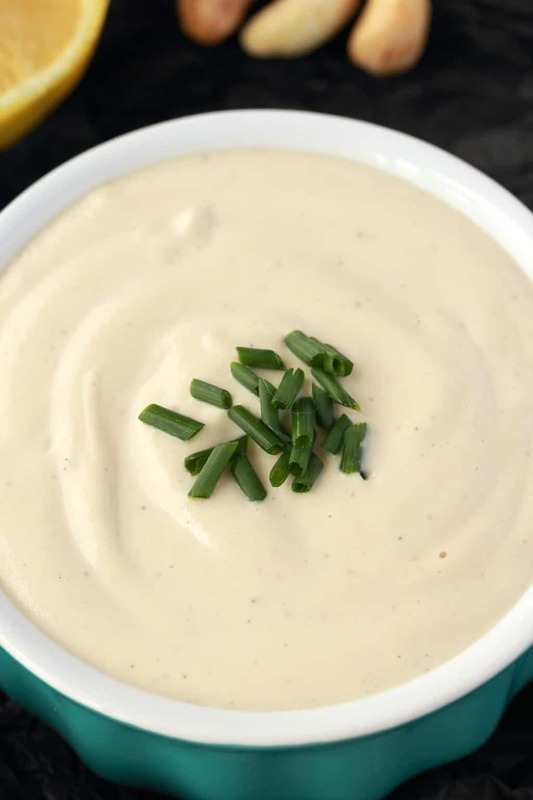 It can be used for a wide variety of things – I use it as a dip for artichokes, drizzle on roasted veggies, salad dressing, and thin it out a bit for a creamy pasta sauce. I like to use apple cider vinegar if I don’t have lemon and other add-ins like fresh herbs, nutritional yeast, etc to make it the perfect fit with whatever I’m preparing. It’s also such a great source of WHOLE FOOD nutrients with no processed additives. Simply wonderful, thank you, Alison! Oh, and soaking the cashews in warm water for an hour before blending makes all the creamy difference!